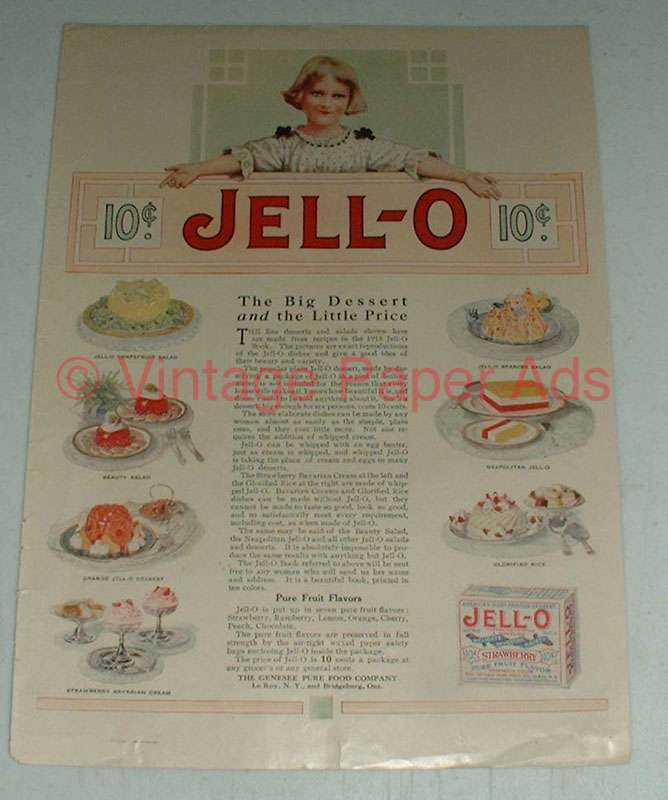 This is a 1918 ad for a Jell-o (art possibily by Maxfield ParrishÉ it looks similar in style, but there is no signatureÉ)! The size of the ad is approximately 10x14inches. The caption for this ad is 'Jell-O. The big dessert and the little price' The ad is in good overall condition, with some light wear and a small 3/4 inch tear at the bottom. This vintage ad would look great framed and displayed! Add it to your collection today! 1986 Jell-O Pudding and Cool Whip Ad - Jeepers! Creepers!